Do you ever feel that no matter what happens difficulty is still near us all? Problems, issues, errors, mistakes are all part of being a human. Everyone has problems, issues and makes mistakes; it’s all part of being a human. Plus, is you ever meet someone who says otherwise, just remember that they are lying. As Einstein once said “if someone feels that they had never made a mistake in their life, then it means that they had never tried a new thing in their life...” This is a very inspiring quote and I agree with each word of it. Well, it’s almost the end of the year, so I think it’s time to recap on all the downfalls of 2001. In a way, this is a great opportunity to help bring back all the defaults of 2011 so these mistakes can’t be ever done again. However rather they all turn to be a life lesson. Just remember that this happens in life for a reason, even though people around you make say that these things could have been avoided. For some reason these mistakes and errors that we all make can’t be avoided. Just remember that at the moment of trouble in one if some sort of dramatic issue would end up face it face to face. Since the effects of negativity hits back upon us. With no safe place for shelter and no matter how far you ended up running the problem will still be there ready to collide with ones daily lifestyle. 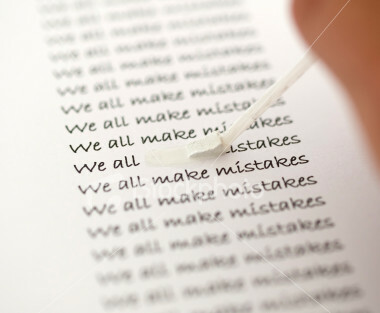 A part of being a human is making mistakes! Learn to be thankful for them for what they are because there are life lessons that can be only educated by extremely hard ways! I really hope "my thoughts" help and wish you all the best. I am back! Well, if you follow me on twitter, I recently mentioned that I will away from blogging for a week during my one week vacation to Montreal, Quebec. During my eight hours bus, I realized something and suddenly it inspired me to write another journal.This inspirational journal is based on the life and it's journey. Life, it has its ups and downs, from delightful moments to destructive pain. During my bus ride to Montreal, Quebec my experience with reality all disappeared, rather it all looked like a long journey. A journey that started in the day I was born. For instance, a simple example is that I was born in India, but right this second I am in Toronto, Ontario, Canada. This place change is a major shift that made me who I am today and where I will be tomorrow is still a mystery. Moreover, during this bus ride I noticed that how fast things around me were; just in a blind of an eye I was somewhere new. From leaving the Greyhound terminal at Scarborough Town Centre and ending up at Ottawa’s bus terminal. An unfamiliar place; where I felt like a new beginner. A beginner without any knowledge! Right that second, it hit me! This is life, no matter how we try to get away from it; it would still find us and reflects back. Also, the bus ride taught me a lesson that sometimes it’s good to take a break and just relax. However, for some reason even during my weekends or even the holidays, I don’t ever find the time to relax. Never found the perfect time to toss away all the problems. I try really hard to relax but the problems still cinches around me and don’t dare to leave me alone. This bus ride gave me a great source of relaxation. In addition, whenever I drive by myself, it never occurred to me that there are many bumps, turns, short cuts and etc, which are surrounding us. However, during the bus ride it somehow looks similar to all the downfalls; we face in one’s life. In one form or another each one of us would have faced them more than once in our lives. Each turns during my bus ride reminded me of all the turns I took in my life for the past twenty years. Each turn of my life lead in towards an unknown pathway. 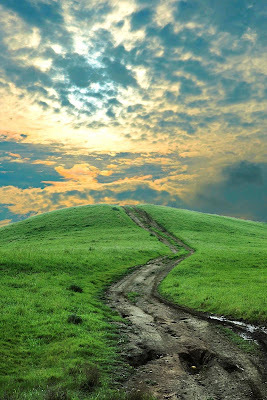 In each path I learned a valuable lesson and knowledge for my survival. However, only difference between life and the bus ride is that during the bus ride, we don’t need to drive ourselves to the destination. In life we are our own a drivers; with an uncompleted map. On the uncompleted map literally, we have no source of help except for the few advisors who came along the way to guide us for a while. Other than that, we are in a never-ending journey. Since, I have never been to Quebec by myself (even with my sister), both of us has no idea, where to get off. Surprisingly, it was the first time trip for everyone on the bus; therefore my only source of hope was the driver. Thanks to him, I and my sister got odd at the right place safe and sound, and this is a great example of an advisors. Well, even though I got to Quebec safe, doesn’t mean my journey ended, but it’s just another path to my life’s story. However, when I was there I didn’t feel any different. Also, I was a little anxious of what tomorrow has in store for me. This is my life’s never-ending journey, just like every ones! So, what’s your story about? Handbags!! I am a huge sucker for purses I need to have one with me everyday and I know many you would agree that it’s get hectic when it’s time to change bags to match the outfit. I rarely make these changes it’s pretty hectic. Since I carry lots of items in my purse (check out my What’s in my purse tag). It’s expensive to purchase several new handbags every year and not always feasible. Well, if you are a hater like me for the bag switcher or hate the high prices. 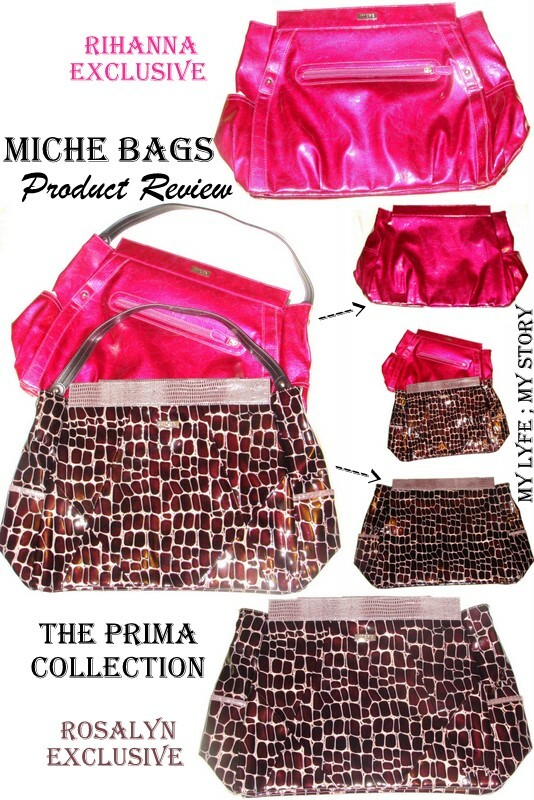 Then look no further, a company called Miche bags is here to rescue all of us! Also, if you are interested in Miche’s amazing https://www.michebag.ca/pages/home_parties work from home opportunities, check out their website at www.michebag.ca, which is pretty amazing! Miche offers a enormous line of handbags that consist of an inner base bag along with an outer shell. The outer shell is interchangeable. So you can easily change the complete look of your bag on a whim, lacking buying an entirely new bag. The bags come in 4 different styles. The Classic,Prima, Petite Base and Demi. These four base bag options differ in shape and size. Picking a base bag and trying to find an outer shell is literally a fun process! Each base bag comes with a huge variety of shells. Basically pick and choose out the ones you like and they quickly fit over your base for an instantaneous transform. No changing the filling of your bag or intricate zipping. There is a magnetized flap at the top of the shell that just flips over the edge of your base to hold it in place. It’s a simple and sweet process. For my review I received the “Rihanna Prima Bag” and “Rosalyn Prima Bag”. The package was well packed and I received faster than I accepted. Also, the “Prima Base Bag” has tons of pockets plus it also has a unique leather base. Also, the straps are really strong and safe (which means I don’t need to fear about it ripping). Plus, it have a huge space so more space for my things. Now here’s my review on the “Rihanna Prima Bag” and “Rosalyn Prima Bag”. Rihanna Prima Bag – I love the bright colour of this outer shell. It’s a huge statement piece and the bright electric fuchsia faux leather looks really glamorous. Plus, high gloss finish makes it stand out even more. Rosalyn Prima Bag – I love the whole texture on the outer shell. The luscious deep plum color with elegant cobblestone textured faux leather combination gives the outer shell a sleek look. The Prima Base Bag is 5" (wide) x 15"(long) x 12" (tall). Handles pictured come with the bag and are 20" long, with a 10" handle drop. Features two small interior open pockets, one medium open pocket, one large zippered pocket, four credit card slots and two pen holders. I adore that I can still change my purse from day to day to match my outfit or my mood. The base bags retail from $22 to $45 and the shells are around $45 each. There is definitely a higher upfront cost when you primary buy your base bag and outer shell, but once you have the base all you need are the shells. Therefore, I find that $45 is a reasonable price point. Not only does Miche offer outer shells for your bag, but they offer great charm accessories, handle options and coin purses too. There is a great variety in the style and looks that will appeal to everyone. The Miche website at www.michebag.com is simple to navigate and makes ordering a snap. If you are looking for the perfect gift for your wife, girlfriend, sister, or perhaps even your mom, you should definitely check out the Miche Bag. 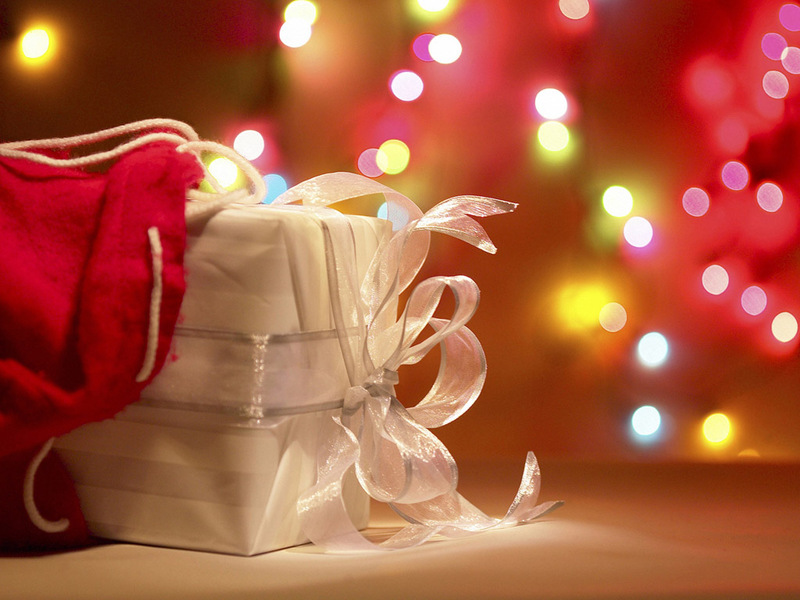 It is going to make a fantastic gift. Also found out that, I am not the only one who is a fan of the Miche bag. Lots of celebrities love the Miche bags too. Stars such as Ariel Winter (ABC's Modern Family), Kimberly Lock (American Idol), Lacey Schwimmer (ABC's Dancing With The Stars) Louisa Roe (MSN Fashion Stylist) and many more have all been spotted with a Miche Bag. The Miche Bags has graciously offered to giveaway a set of “Petite Bag” to one lucky winner (Canada Only). Bag dimensions: 4"(wide) x 8"(long) x 6"(tall). Features one small open elasticized pocket. The handle that comes with the bag is 20"long and 1/2" wide with an 11.5" handle drop. All entries must be received by 12 am Eastern Time (Canada) on Decmber 27th, 2011. A winner will be chosen via random.org. The winner will be notified via email and have 48 hrs to respond. If no response with 48 hrs a new winner will be chosen. Disclaimer: These bages from Miche Bags for review purposes only. The opinions expressed in my review are honest and my own, based on my personal experiences with the product. Still struggling on gift ideas for all your female friends and family. Well, here is another quick gift idea post of some unique bracelets from CharmFactory.com. The style I received to review was the European Beaded Bracelets. All their bracelets are beautiful, and I had a very hard time choosing which bracelet I wanted to write my review on. “The charms are made of European style beads, silver plated brass, lead free pewter, and glass. They’re assembled in the USA and the pewter beads are made in the USA. One end of the bracelet screws off, so you can add charms from Charm Factory’s European style beads, or you can remove a few charms. The bracelet also locks with a heart toggle. For this review, I chose to review the “Love and Believe” Bracelet. This beautiful sterling silver “European Beaded” bracelet constantly keeps reminding me to always love and believe in me every moment of everyday in my life. It also reminds me the life is delight just like this “glass” beads on the bracelet. Also, I have an extremely tiny wrist and I am thankful for the perfect fit. It's lightweight and fun to wear (trust me... I don’t want to take it off). The details on each floral bead are so delicate and the colour combination is excellent. Plus, the Silver Tone Bracelet with Heart Toggle 7 1/2 inch is really strong and light weighted. Overall, the bracelet is stylish and elegant with delicate beads and the beautiful worded charms. 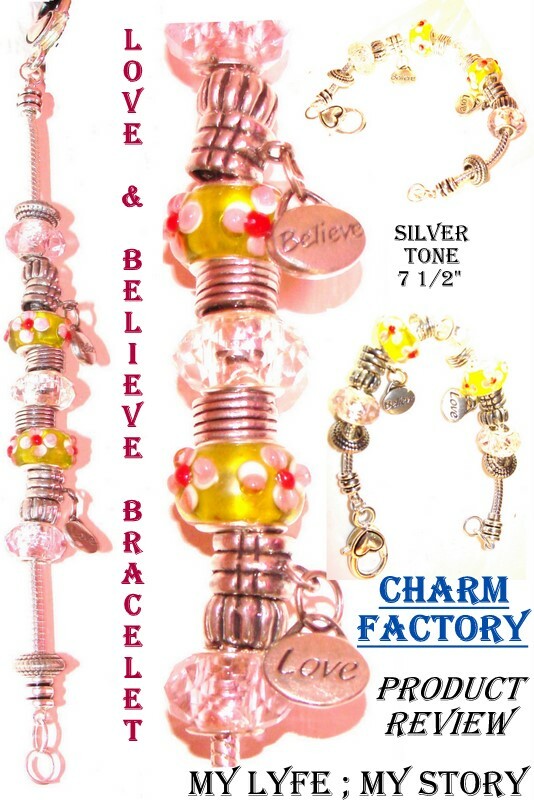 The Charm Factory is a wonderful company full of varieties and options when it comes to creating and designing your own unique charm bracelet. Plus, the charms and bracelets are sterling silver, which is extremely awesome. Also, the price is reasonable for every penny you spend. I would definitely recommend this company to everyone. Disclaimer: I received the product from CharmFactory for review purposes. The opinions expressed in my review are honest and my own, based on my personal experiences with the product. This review was meant to be done months ago however due to a small misunderstanding this post was delayed. Today, I finally decided to take a break from my books and do a small photo-shoot. However, sadly I looked like a mess and I really had hard time to take photos of myself. Moreover, all the photos look a little messy and dull. Therefore, I decided to take a different approach and ended up pair each specific necklace from ToFebruary.com with a top. Overall, I try to create three different types of looks. Hopefully this post is a huge success with all my readers. Also, I did a product review post for this website. (Plus, I just recently had an opportunity to do an interview with Cara and also, I did a "quick peek" post too). This is actually a quick post. I believe that something pictures are better than words. The look with the black cowl neck top is a great example of elegant. I believe that black always has an unique classy look with or without try. Plus, with the addition of the "Long Bow Necklace" the top seems to stand out more. The second look is a little girly and feminine, since it includes to silky printed top which is perfect for the fall and great transition into the winter season. Plus, the addition of the thick brown sweater cuts down the girls look and makes it look more professional. Also, with the "Classical Love Letter Necklace" the outfit gets a vintage vibe. Whereas, the third look looks girly and modern. The bright coral colour makes the outfit pop, however with the touch of the white vest calms down the look and makes it look modern. And the use of the "Sequence Flower Pendant Necklace" makes the outfit look a little feminine, therefore, this look literally has a touch of everything. Finally the last look is casual, this is a look I would wear everyday to school. It's really simple and sweet, plus the necklace just adds more simplicity to the look rather than more character. This is quick description of all looks shown in the photo above. I recently mentioned on one of earlier post that I am in love with the website "ToFebruary.com". This post is going be DIY project/Revamp. It's actually an answer to one of my reader's question. 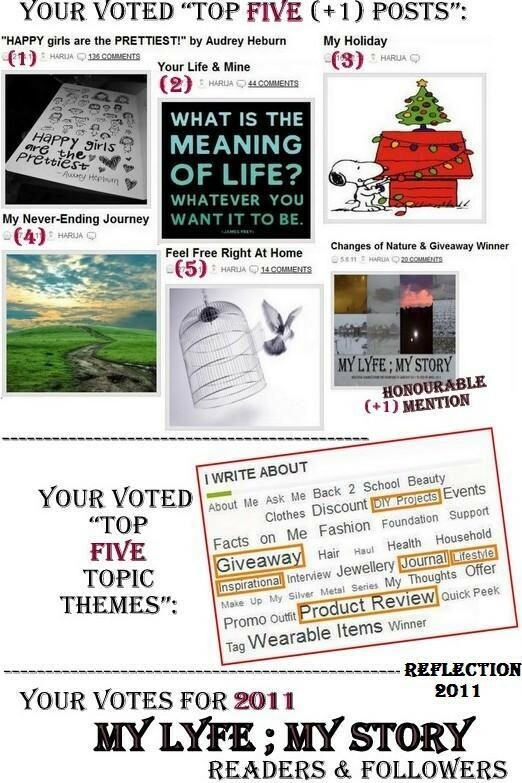 Saiika asked: "Hey Harija,i love your blog! This Christmas my best friend is moving to LA and I want to make something for her rather than buying her a gift. 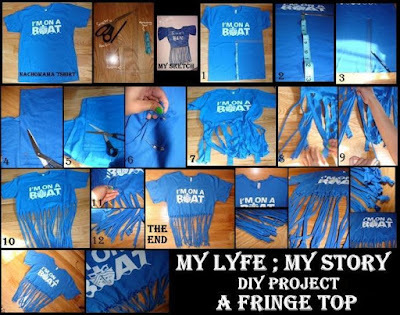 So, I was wondering if you could come up with an easy DIY project to help me get some idea. I would like to give her something than she can wear and think of me..."
So, thank you Saiika for this lovely question and here is my post dedicated to your question! Trend comes and goes every year, every season and even every day, however our budgets aren’t capable of handling all those pressures. So let’s use of our hands and try to be creativity. This in the end helps us save up our money for other important things in life. This fall and winter tassel earrings are going to be huge! You can already see many fashion designers rocking them on the runways, for instance like Dior, Chanel and many more. 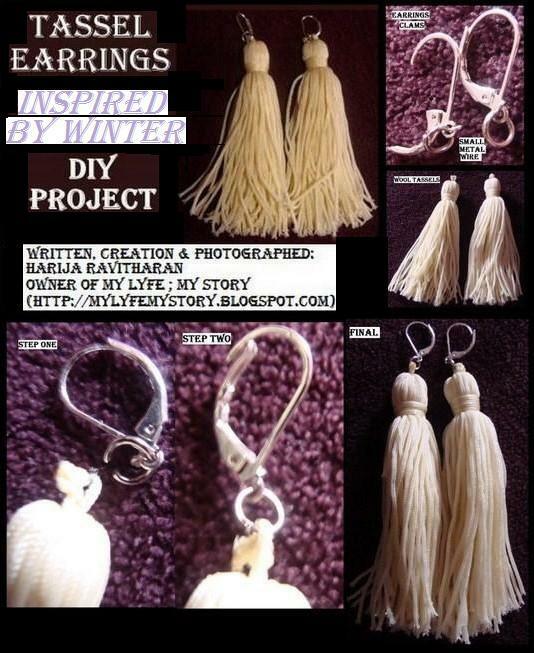 Plus since this is the season of giving why don't you try make your very own tassel earrings for your family and friends. Here is a simple way to save more money and still be trendy. Use the plies to attach the wool tassels to the end of the small metal wires, which is attached on the earring clams. Then after that you have official completed making a Tassel Earrings. As I mention earlier it’s extremely simple, plus saves so much money and time. Hope this was a simple and sweet process for everyone to make! 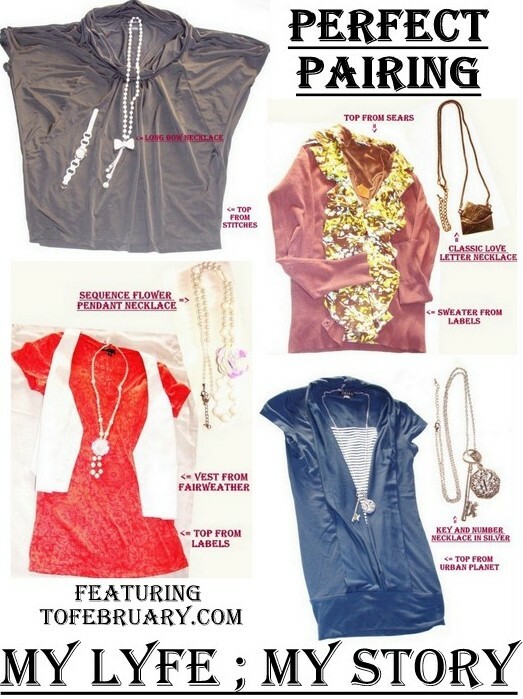 Be creativity to be trendy!